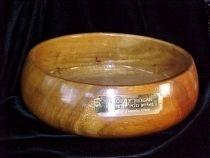 corporate as well as sporting presentations in the Island style. 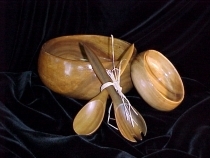 Bowls are avaiable in a variety of sizes. someone or team. 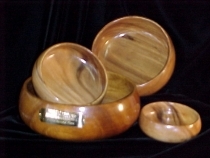 Plates are hand curved to match the contours of each bowl. pain-stakingly contour each plate to each bowl. without purchase of any size monkeypod bowl.